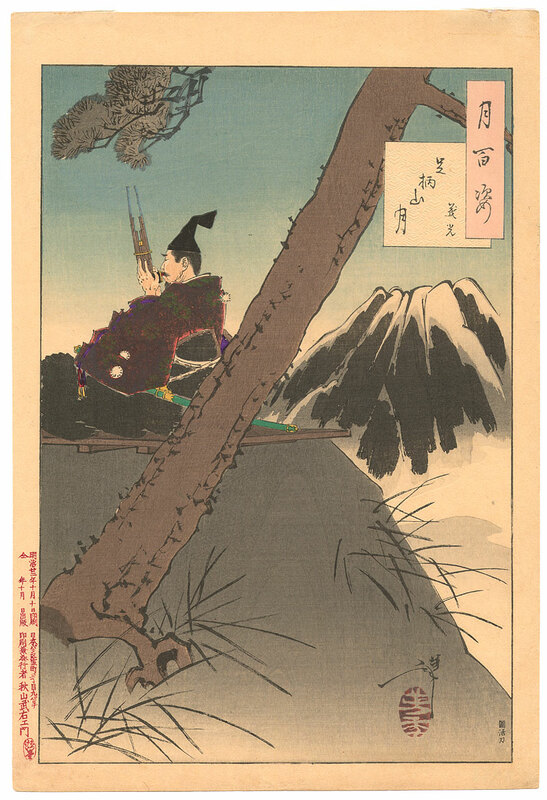 Minamoto Yoshimitsu (1056-1127) was a famous warrior and courtier as well as a musician. His favorite instrument was the sho, which he is playing here. There is no depiction of the moon in this design, just the glow of moonlight.